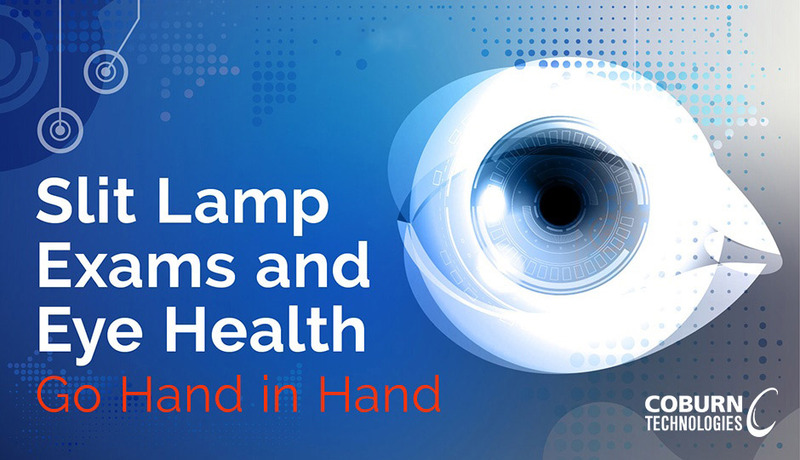 In the same way that general practitioners perform yearly physicals to diagnose diseases in their infancy, ophthalmologists complete slit lamp exams to ensure continued eye health—because the sooner a problem is detected the more successful treatment is. Essentially, a slit lamp is a device that consists of a microscope and light source so that an ophthalmologist can effectively view several parts of the eye in detail, including the iris, lens, sclera, conjunctiva, eyelids, and cornea. With additional lenses, the optic nerve and retina can also be seen. Oftentimes, a camera is part of the slit lamp so that photographs and video can be captured during the exam for future reference. The ophthalmologist will begin by placing dilating drops in the eye to make everything easier to see. The patient then sits down and rests their chin and forehead against the slit lamp so the head cannot be moved. The overhead lights will be dimmed and the slit lamp will be placed in position in front of the patient’s eyes. The bright light on the slit lamp will be directed into the patient’s eyes, as the doctor looks into the microscope—all the while the camera is at work taking photos or video. If necessary, fluorescein dye will then be applied to help the ophthalmologist easily view any scratches or other abnormalities. After the doctor has viewed both eyes in their entirety, the slit lamp exam is complete. From start to finish, the process usually takes 5-10 minutes. Slit lamp exams are a crucial component of eye health. When they are performed regularly, many eye conditions can be treated successfully. At Coburn Technologies, we feature the finest slit lamps available to make sure that ophthalmologists are able to correctly diagnose and treat their patients.